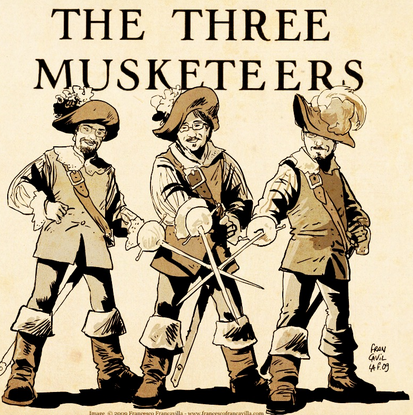 Previous postAre Newspaper articles doing more harm than good? Leonie, sadly things are not much different here in Canada. Our healthcare system seems to be owned by the pharmaceutical industry. The Coroner has refused to look at the role Cipralex played in Brennan’s death. The “experts” they consulted also have connections to pharma. We also firmly believe Cipralex manufactured by Lundbeck caused Brennan’s death. That is awful Nancy. At least the Coroner at Shane’s inquest allowed Professor Healy to testify, which led to the jury rejecting a suicide verdict. Not sure what difference that makes in reality but it was important to us at the time. Shame on the Canadian Coroner…..what’s he afraid of finding? Lundbeck seem to have their poisonous tentacles everywhere and academia is no different, just to me it seems much more tragic. Allowing themselves to be bought over and ignoring the victims and their families; what could possibly be worse? I know that Brennan died because that stupid doctor, who also tried to wriggle out of it and blame Brennan, gave him a drug with no warning of the dire consequences. Such a lovely handsome young man! So so sorry Nancy. It has come to my attention that a serious breach of ethics has occurred within the college of psychiatry. An internal college e-mail regarding my son, addressed to members of the College of Psychiatry, has been forwarded to Lundbeck, the pharmaceutical company implicated in my son’s death. At the time, 2010, Dr Justin Brophy was president of the college, hence the reason I have included him in this e-mail. He was also the original author. In 2010 I sent off a ‘Freedom Of Information’ request to Lundbeck which I happened to be going through this week. 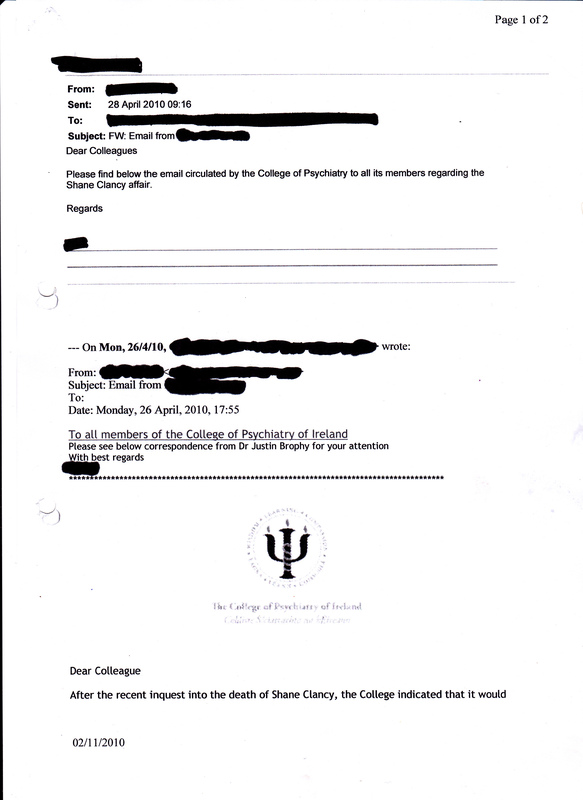 I came across an e-mail which I had previously overlooked; an internal e-mail to members of the Irish College of Psychiatry from the previous College President Justin Brophy. 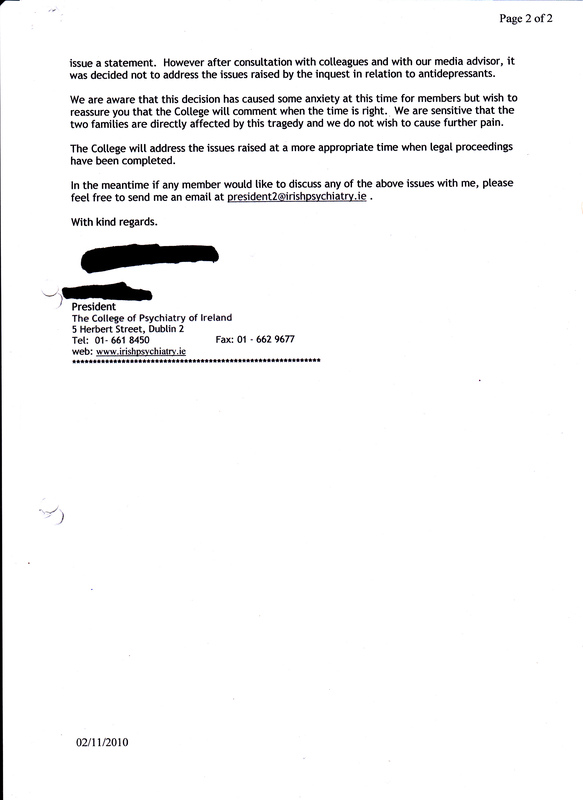 The e-mail refers to the decision not to address the antidepressant ‘issue’ raised at my son Shane Clancy’s inquest. According to the Irish psychiatry website, the college ‘aims to be the voice of psychiatry in Ireland’. I therefore find this serious breach of confidence totally at odds with these intentions. It would beg the question, exactly how involved is the psychiatric college with ‘industry’, or is it just Lundbeck who have internal access? Either way, this needs to be addressed, particularly as the Medical Council approves the College as the ‘sole body’ recognised by the Medical Council and the HSE for Competence Assurance and Training in psychiatry. I have serious concerns that my son’s death was investigated by the medical council with an ‘independent’ expert report by Professor Cowen, who acknowledges his links to Lundbeck. It saddens me that it seems my suspicions have yet again been confirmed, that Lundbeck also has links within the college of psychiatry. I have left this comment twice already this week, but it never appeared. I am not sure what I was doing wrong (using WordPress info), but am now trying through Twitter. Hope you get it. It’s way beyond a conspiracy. It’s a global industry that’s based on the blatant falsehood that all human problems/variations are illnesses that need to be “treated” with psychoactive toxins. Because this is a lie, two things become necessary. Firstly, anything that remotely threatens the lie has to be savagely suppressed; and secondly, there has to be a continuous stream of propaganda to promote the lie. The psychiatrists are the principal agents in these endeavors, and pharma provides the money. Psychiatry has long since ceased to be a helping profession. Your late son – and I hope you don’t find this offensive – is simply collateral damage. They don’t give a damn, other than distancing themselves from any kind of responsibility. I can’t even imagine what you must be going through. Keep writing if you can. As I have always said- ‘mental health’ is ‘big business’ and the only ones who benefit from the current mental health system in most countries are psychiatrists and their pharmaceutical puppet masters. Sorry, I never received your previous comments but glad you persevered. No, I’m not offended, I know Shane and countless others are just collateral damage to the drug companies. They have no conscience and are consumed by greed. I understand that. What I don’t understand is how doctors and psychiatrists who are supposed to be helping people, defend these companies and trample on victims like my son and bereaved families. Surely they know what they are doing? Are they paid enough to assuage their conscience? It seems so.